Happy Halloween. Well, many of us knew this day was probably coming, but now it is official. Vine will be discontinuing its app in a few months. We are so grateful to have worked with so many of the creators and to be one of the first companies to do promotions on the platform. 10/27 was a reflective day for many of us. Vine was like one big party for 3 1/2 years, and it was so fun and challenging to be able to tell a great story in 6 seconds. We were honored to be a part of it and provide many big stars with their first brand deals. But all great parties must come to an end, and we look forward to seeing how Viners parlay their talents into other arenas – many of them already have. A special shout out goes to Cody Johns for introducing me to this wild world of Vine. R.I.P. Vine isn’t the only story to report this month though. Do you know which social media platform just announced it recently surpassed 150 million monthly active users? What about which TV Series had the most total interactions on Facebook and Twitter in October? Well, we got the answers in our first ever Social Media Pop Quiz below. Enjoy. And as always, our goal is to help you navigate through the exciting space of influencer marketing. Please feel free to reach out to us with any questions or to launch your next campaign. SUPERSTORE ON NBC – We were glad to have participated in the campaign for the NBC comedy, Superstore with the inclusion of Chloe Lukasiak. 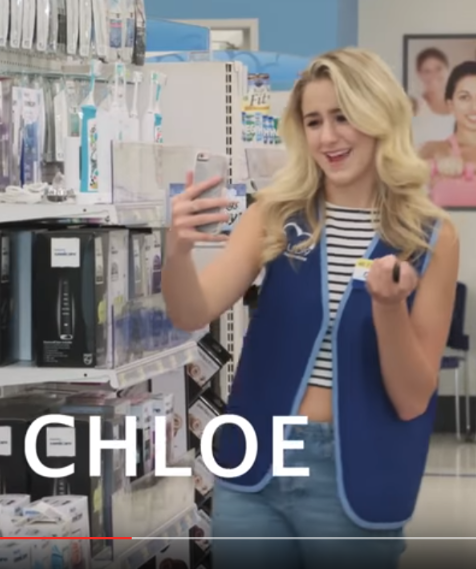 Chloe spent the day on set with other influencers including DeStorm Power and Alex from Target and pretended they were employees of the fictional store, Cloud 9. A You Tube video was completed, and Chloe posted her own piece on Instagram. To date, her piece alone has received a whopping 827,000 Views and 124,000 Likes. Nice going, Chloe. 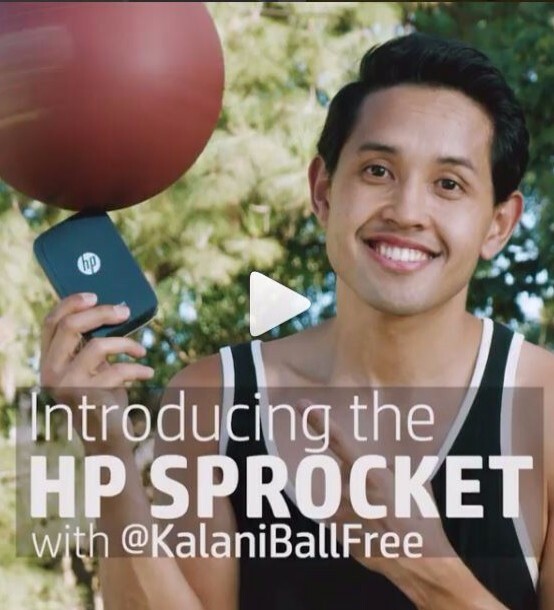 HP SPROCKET – This product (and the influencer promoting it) couldn’t be cooler. It’s a mobile printer that you can take anywhere. You take a picture with your iPhone when you’re out and about, press a button, and VOILA – it prints out on a small device called a Sprocket. 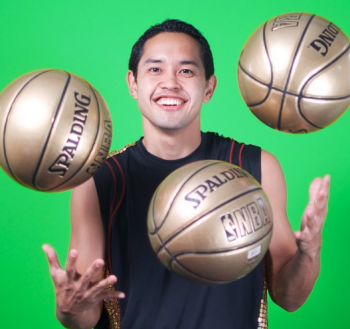 Boomopolis booked the talented basketball freestylist, Kalani BallFree to handle the job. He flew out to LA from his native Hawaii, shot the video with a production team and shared it on his social channels. The video now has over 880,000 views on Facebook. Check out the Instagram. FUN FACT: A “View” is defined differently depending on the platform you use. For You Tube, it’s at least 30 seconds of time while on Facebook & Instagram, it’s only 3 seconds. Snapchat counts as soon as it loads. These definitions are important for marketers to consider when calculating R.O.I. 1. What TV Series has the most total interactions on Facebook and Twitter in October? 2. True or False – Americans still prefer email to social media. You can now filter out negative comments that you see on your posts by choosing certain keywords that you find inappropriate. Instagram then blocks them off for you and hides them. This can be especially useful for influencers that like to keep their feeds as clean as possible and eliminate comments from the “haters”. Instagram also now lets users “save drafts” on their posts and lets you get back to them later to either edit or officially post it on your feed. It’s no secret that Twitter has been trying to get acquired. Part of the issue has been lack of growth in users and keeping its platform a safe environment and free of harassment. While they try to correct that though, they have made other improvements. Now, Twitter lets you expand on what you could say on your tweets. Media such as photos, videos, and GIFs won’t count toward your 140-character limit anymore. Links are still a flat 23 characters. Snapchat makes it easy to create geofilters by using their geofilter creation tool. It lets you choose how long and where the geofilter stays within their specific guidelines. “Business geofilters” lets you incorporate your company’s logo and add this on the filter, making it an effective, convenient and savvy way to advertise your brand in 2016. 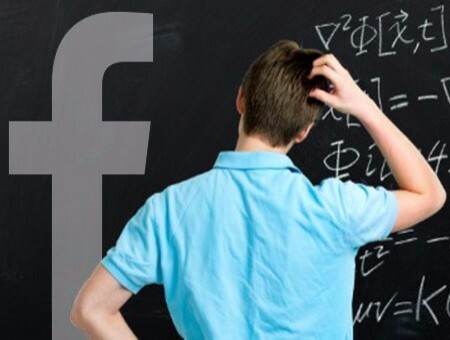 NO YOU TUBE VIDEOS: Did you know that if you post a You Tube video on Facebook, Facebook will throttle it and show it to less people on its news feed? Why? Well, Google (You Tube’s parent company) is a big competitor, and Facebook doesn’t want its users’ eyeballs to go there. ADVICE: Make the video native and upload it directly to Facebook. NO LINKS: Facebook also doesn’t like any link which causes people to leave the platform (including iTunes – which effects game and music promotions). They’ll allow you to post the link – no problem – they’ll just make sure it doesn’t show up in as many people’s feeds. VIDEO OVER PHOTO OR TEXT: Another tip is that Facebook right now LOVES video of any type, so if given a choice between a photo or a video in an influencer marketing campaign, make sure it’s video (for Facebook) because it will likely show up on more people’s feeds. 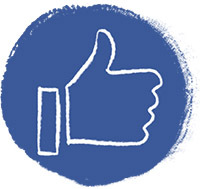 Engagement shows how active fans are with a particular post in the way of likes, comments or shares. On Instagram, for a non-branded post, we generally see an average engagement of 1 to 4% of the influencer’s following. If an influencer has an engagement rate of 10% (i.e. 100,000 followers getting 10,000 Likes), that is way above average, and their following is likely growing quickly, so this influencer’s cost would be higher than one with average engagement. Conversely, if their engagement is below 1%, their rate would be lower than the average. More about engagement in later newsletters. We attended Jason Nash’s screening of his film, FML in Los Angeles, and it was excellent – with standout performances by Brandon Calvillo (up and coming star), and Ry Doon. We hear it’s doing amazing on iTunes. To check it out, click on this LINK. 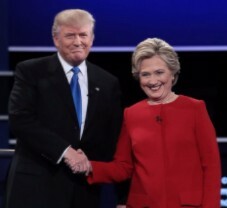 Candidates Donald Trump and Hillary Clinton discussing treatment of women provided the most-tweeted-about moment during the third and final presidential debate. Nielsen reported that there were 53.2 million interactions. As a side note, we also promoted a political app the day after the debate to take advantage of the timing. Digital video ads are most effective in the morning – specifically in the hours between 3 a.m. and 12 p.m., according to a new study. YOUR BRAND’S 300 LIKES IS ON US! Order one of our packages, mention “300 Likes”, and we’ll create a promotional post (at no charge) which we guarantee will get 300 Likes.